ESAD Occasions & SAB 2015 Blog Hop – Getting into Guy Greetings! 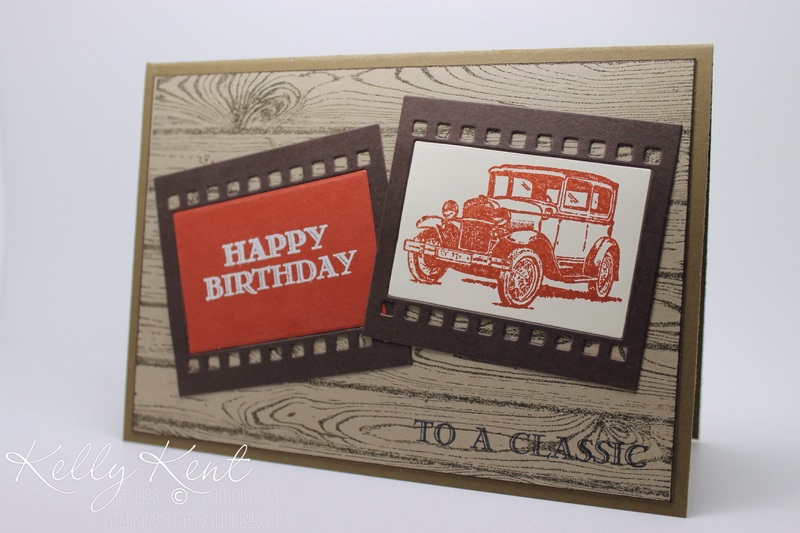 Welcome to another ESAD blog hop – a round trip through lots of inspiration for products from the 2015 Occasions catalogue & 2015 Sale-A-Bration range. You might be starting here, finishing here or just stopping by on your way around. If you’re on your way, then you’ve just seen Amity’s Project Life creations. Next stop on the journey is Norelle’s blog. A full list of participants is at the bottom of this post. ESAD stands for “Extra Special Australasian Demonstrators” and is a Facebook group just for Australian and New Zealand Independent Stampin’ Up! demonstrators. We love what we do & love to share with our customers, friends and blog visitors. We also share what we love in our ESAD Demonstrator community, through swaps, challenges, sharing knowledge, ideas& friendship and we’re always there to help and support each other. 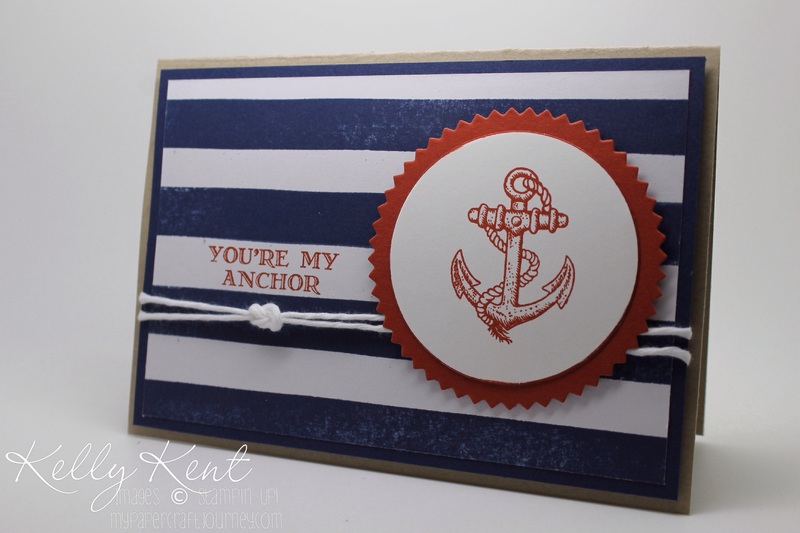 So if you are a Stampin’ Up! demonstrator located in Australia or New Zealand then please feel free to leave me a comment with your email address then I’ll contact you with information on how to join our group. Welcome to my projects. After buying what seems like most of the products (shhhh!) from the new Occasions catalogue (who can choose a favourite when the offerings are that good???) and earning quite a few SAB gifts, I had quite a selection of products from which to choose for my blog hop focus. After some umm-ing & ahhhh-ing, I have ended up deciding to showcase the very interesting stamp set “Guy Greetings” (138825/138828/137178) – mainly as a bit of a push to ink it up and hopefully fall in love with it. You see, since it arrived, I’ve been struggling to get excited about it! [And based on the offerings of Pinterest, I might not be the only one]. In theory, it’s a great set – masculine theme, great font and lots of potential… but something about it has been blocking my creative flow. Well, not anymore for this old-fashioned engine with determination! Guy Greetings paired with Birthday Bash DSP (137783), Starbust Framelits (132967) and Painted Blooms Cotton Twine (137873). Do you like the boating knot? Learn how to tie your own by following this tutorial. Guy Greetings coupled with Hardwood Background Stamp (133032) and On Film Framelits (132969). The Hardwood stamp would have to be one of my all-time favourite SU! stamps. It goes with so many themes. Guy Greetings featuring a punch art coverall made using Square Framelits (130921) & Triangle Punch (133375). I do love my punch art! This design would also work for hi-vis (which gives me an idea for the future!) or a crisp white shirt, making it perfect for a range of men. 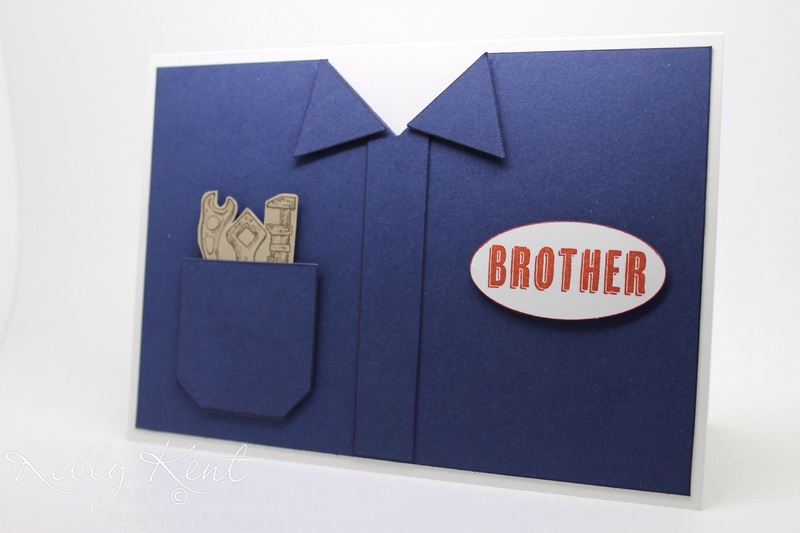 As well as “brother”, Guy Greetings comes with father, Grandpa, Dad, husband & uncle – fully customisable for the men in your life. And one final share, to go with my mechanic punch art card. “Tool Bag Curvy Keepsake Box” (135853). Did you know that quite a few of the popular products from the 2014 Holiday Catlaogue are back as ‘returning favourites’, which is fabulous because the Curvy Keepsake Box has definitely been a favourite of mine! [You can see them on page 49 of the Occasions 2015 catalogue]. So far all of my Curvy Keepsake Box creations have been ‘lovely for the ladies’ or ‘cool for kids’, so I wanted to create one that was ‘great for guys’. Think Dad’s Tool Bag could be a winner – especially if it was filled with his favourite chocolates. Thanks for joining me while I made friends with my Guy Greetings Stamp Set. It’s definitely grown on me and I’m excited to make more ‘manly’ cards throughout the year. 20. Kelly Kent – you are here! These are fantastic projects. I love the use of the tools. Beautiful work. I’m really enjoying Guy Greetings atm. Thanks for giving me some new ways to use it. i am soo going to get this set now-great ideas and have pinned for future inspiration! You totally nailed these masculine projects Kelly! Love them all! Oh my! I hadn’t even noticed there were tools in the set! Your tool bag is VERY COOL!! Love these, Kelly! Very creative and it is great to see such masculine projects. Thanks everyone for such lovely comments. It’s amazing being part of such a talented blog hop! Nice work, I actually hadn’t thought much of this set until seeing some of ur ideas! I am totally inspired by your masculine cards. I love how you’ve used the images with the on film framelits and the tools. So clever and creative. Great work, I especially love the work bag, I will have to case it for my DH. Thanks for sharing Kelly and for organizing the hop. 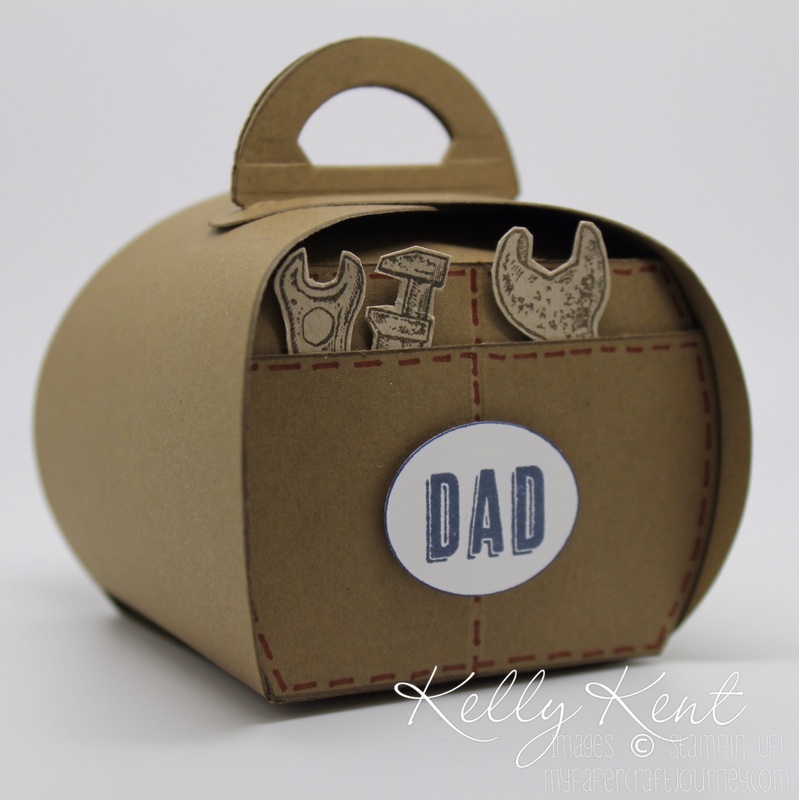 Kelly, those are all awesome cards but I really love the tool box, so clever! Great masculine projects, Kelly. I especially love the brother shirt & tool box. Fab! Thanks heaps for organising the hop – you’ve done a wonderful job. I really struggled to like this stamp set _ think I focused on the man too much! You have made it look amazing! Love your projects. Thanks for showing some great projects with this stamp set, my favorite is the last curvy keepsake tool box.